Best Australian Draught Beer - Boatrocker Roger Ramjet (2015) Dylan and I ventured to Ramjet Day this year, the first year I'd been able to go. Wow! What an event! One of many highlights was the 2015 Roger Ramjet, the Bourbon iteration of Ramjet, of this wonderful Barrel Aged Russian Imperial Stout. Amongst an array of wonderful BA Stouts this was right up there! 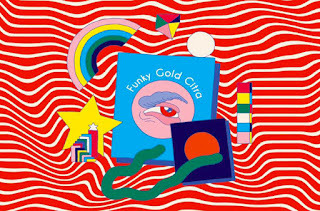 In amongst all the drama with Feral in the latter stages of 2017 it’s all too easy to forget how good their offerings were throughout the year. Biggie Juice was the pick of the bunch for mine - serving both as a precursor to the haze craze that was everywhere in the second half of the year and delicious beer in its own right. Stupidly fruity, looked the part and kicked off the 2017 good beer week for me. Could you ask for any more? 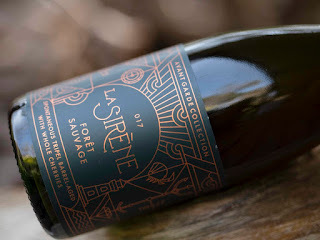 Best Australian Bottled Beer - La Sirène Forêt Sauvage That said, La Sirène's Forêt Sauvage; a spontaneously fermented Tripel that spent 18 months in French Oak barrels alongside King Valley cherries, was absolutely superb! Those who've had the privilege of sampling beers from La Sirène will understand the complexity that they've been able to extract in the past, this beer takes that to another level! This beer would stand shoulder to shoulder with any sour you would care to put it up against. What a spectacular, delicate example of how to make a good sour ale. The berliner weisse base, chardonnay barrels and bitter orange all lend their own piece of character, melding together beautifully into a whole. The name makes sense as there’s a heap of spritzy, bouncy orange up front which rounds out to an almost sorbet-like combination of smooth, round fruit and tartness. It blew me away and was in all likelihood a big contributor to the worrying amount I spent on sours in the following months of 2017. Best Australian Canned Beer - Hawkers West Coast IPA This beer was only released in the last week of November, but really there could be no other choice. I very very rarely buy 4-packs or 6-packs, yet I think I've bought 4 of these since this beer was released. This is a beautifully clean example of a West Coast IPA, with plenty of pine and stonefruit flavours. What a year for the can! I’m such a massive fan of them and was stoked to see so many breweries jumping on board. 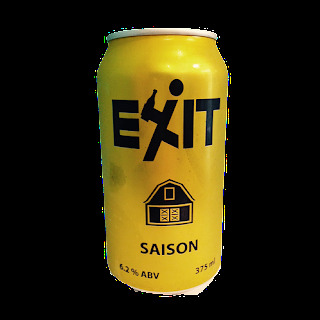 It’s probably not much of a surprise that putting one of my favourite beers into my preferred drinking vessel took out the spot here, but it’s hard to argue with the extra peppery zest the can format gave an already excellent, yeasty, big bodied saison. Best Cask Beer - Red Hill Hop Harvest Ale I had one cask ale for the year, so I guess it wins by default! That beer was Red Hill's Hop Harvest Ale and thankfully it was really good! I had this over the Easter long weekend, naturally on cask, at the brewery. I remember it being particularly "green" with fresh hops, but in a good way. Next year I'm going to endeavour to drink more cask beer. Strangely enough I had a few IPAs on cask this year, with some working better than others. This was apparently a single batch brewed for the serving style and you could tell - the softer carbonation and creamy body worked nicely with the crazy amount of hops in here. Best Overseas Draught Beer - To Øl Black Malts & Body Salts I was lucky enough to try one of my all-time favourite beers on tap for the first time this year when Grape & Grain had a To Øl & Lervig tap takeover towards the end of 2017. This beer has so much malt complexity that combines beautifully with the various hop flavours. 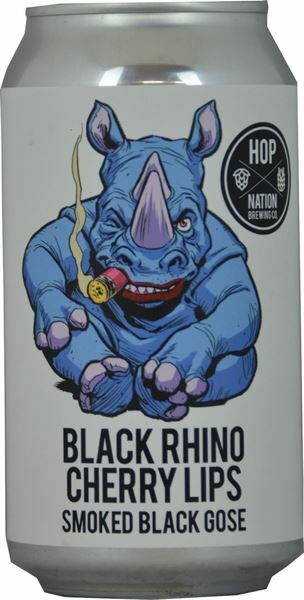 If you love Black IPA's this is an absolute must try. The pick of a very good bunch sampled during a European takeover at Grape and Grain. This is a Brett saison with what I can only assume is a crazy amount of pomegranate/redcurrant in it. The colour is beautiful, there’s plenty of funk (the good kind), the redcurrants add a nice subtle tartness and it finishes dry and bitter. Just a bloody well thought out and made beer - the type that you want to keep sipping to try to pick up everything it’s putting out. Best Overseas Bottled Beer - Firestone Walker Parabola The highlight of my beer year, was imbibing far too much of Firestone Walker's Parabola with the brewer at Mega Dega 5! I was blown away by this beer, which was as good of a Bourbon Barrel Aged Stout that I could ever have imagined. This is how you do a hoppy sour. All of the flavours work to support the hops, enhancing the juicy citrus from the Citra with earthy funk, punchy tartness and a bracingly dry finish. There’s a deft hand with the overall balance as well as the look and feel of this beer - reminiscent of a good saison with the golden/orange colour and carbonation level. I came away from it with a better appreciation for Citra and that’s the gold standard for a beer like this. Best Overseas Canned Beer - Oskar Blues Barrel Aged Ten Fidy Another big American Bourbon Barrel Aged Stout took out the Best Overseas Canned Beer. It was a superb melding of all the flavours you'd expect from the style; caramel, coffee, vanilla, chocolate, bourbon and woodiness. It's a beer which puts people off because of the price tag, don't be one of those people! If you're into big stouts, buy this beer it's worth every cent! Another big year for Garage Project, but one in which a very small beer stood out. Clocking in at under 3% ABV came this gose, one which is so delicious it’s difficult to put down. You can’t even rely on the little voice in the back of your head telling you to take it easy due to the alcohol level. There’s something so incredibly moreish about the combination of peach (and there’s a lot of peach here), salt and puckering tartness. The only issue I have is how quickly it always seems to sell in Australia! 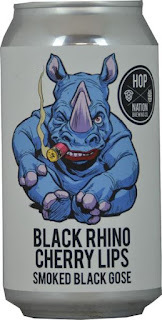 Best Collaboration Beer - Black Rhino Cherry Lips 3 of the newer Australian breweries; Hop Nation, Big Shed & Exit, teamed up to make Black Rhino Cherry Lips. It's a Black Gose, which has had a heap of Morello (sour) cherries chucked in towards the end of fermentation. I don't think I can't do this beer justice in this short of a space; it was wonderfully complex with flavours ranging from salty & peaty through to sweet chocolate and cherry. I really hope this gets re-brewed down the line! More of a reunion than a collaboration, this gathering of ex-Mountain Goat brewers (including people now residing at Two Birds and Hop Products Australia) with the current crop still fits the bill. Turning the ‘double steam ale’ concept into something close to an NEIPA was genius, with the soft, clean body of steam ale still there but ramped up to accommodate a silly amount of hops. The result was a big, juicy and dangerously drinkable send off to 2017. Best Overall Beer - Boatrocker Ramjet (2014/2015) I couldn't choose anything else this year! It says so much about how the craft beer scene in Australia is developing that I preferred this Barrel Aged to any of the more fancied American ones. This was far and away the beer of the night, it's aged wonderfully over the last few years! You know when you’re tossing up between a Cantillion and something else and end up choosing the non-Cantillion option you’ve got something special. The 2014/2015 Ramjet was the best thing I tried on Ramjet day in 2017, somehow standing out amongst a group of world class imperial stouts (and local whisky...and a couple of sours). This was the best thing I drank this year and I think I knew that’d be the case from the first sip. There’s vanilla and oak up front, with the whisky having mellowed out into a sweeter backdrop for the waves and waves of cocoa and chocolate that come through towards the end. It’s a decadent stout that has aged just about perfectly. Best Branding - Wolf of the Willows After going with down the eclectic route last year, I've settled on uniformity this year. Wolf of the Willows have this down pat. The labels are really stand out with their use of negative space. I find that their beers really stand out on a shelf when all lined up next to each other. This one is in recognition of how intelligently CC marketed their beer with their artwork and style. 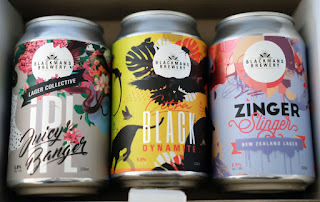 They make excellent beer but they’ve established a foothold in a crowded scene, something I’d wager is in no small part due to their distinctive, striking art and sense of continuity across their range with their characters and colour coding. Best Bottle Label - Bad Shepherd Russian Imperial Stout This year I thought was actually a bit lacking in really good label art. I ended up stumping for this lovely Russian Imperial Stout from Bad Shepherd (pictured below). The photo doesn't do the gold leaf justice, which really stood out. It was as striking as the beer was good! A bit of an under the radar award here - they’re not the most spectacular, or funny, or thoughtful pieces of beer artwork this year but they just look so damn good. My mind kept coming back to how much I dug the look of these three beers and it eventually wore me down. 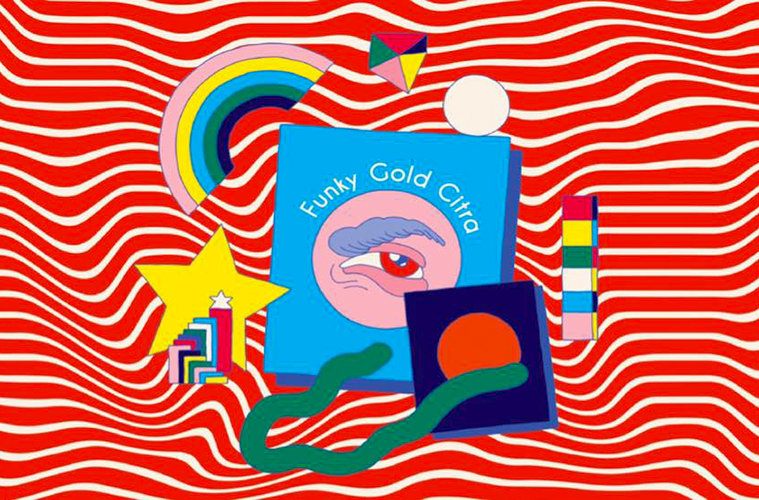 I love how they look like a series but also look great individually - from Juicy Banger’s floral, tropical chrome to Zinger Slinger’s graffiti inspired look to the jungle sunset of Citra Black Dynamite. They deserve some props. Not only did Hop Nation make a lot of excellent beers in 2017, they were both consistent in quality and also took steps forward for the brewery as a whole. Their core range remained strong, with new members such as The Heart fitting in well and filling a gap. They built on their forays into sours by keeping The Punch in rotation as well as brewing beers like the hoppy sour Acid Head, the wonderful oud bruin Le Garnet and the bonkers smoked black cherry gose collaboration Black Rhino Cherry Lips. The Kalash and The Sturm were tasty bigger bottles and Jedi Juice was one of the best in the downpour of NEIPAs we saw. I’m really excited to see (and drink) what they do in 2018. Best Overseas Brewery - To Øl The title for Best Overseas Brewery 2017 goes to To Øl. I was already a huge fan of this Danish gypsy brewer before having the To Ølekalender in 2016, but that really sealed the deal in my mind. This year I haven't been able to walk passed a To Øl beer I haven't had, and struggle to walk passed ones I have had before. These guys make consistently excellent beers, across a vast array of styles and I can't recommend them highly enough. I’ve always liked To Øl, but 2017 was when I realised that I like all of To Øl. I literally haven’t had a bad beer from them and they remain the only brewery I automatically blind buy anything I haven’t tried from. The sheer diversity of beers they release, along with their weird and wonderful art and, most importantly, their high benchmark of quality is pretty nuts when you take it as a whole. I hope they never change. Best New Brewery Opening 2017 - Wildflower This was the easiest category for me to answer this year; Wildflower is already a serious contender for the Best Australian Brewery title! Based in Western Sydney, Wildflower is more a blendery than a traditional brewery - with no on site brewing facility. They use excess capacity at other local breweries to brew their wort, which is then brough back to their site and aged in barrels before blending. Their two core range beers; Gold & Amber, have blown me away each time I've tried them! If you're into sours, check these guys out! 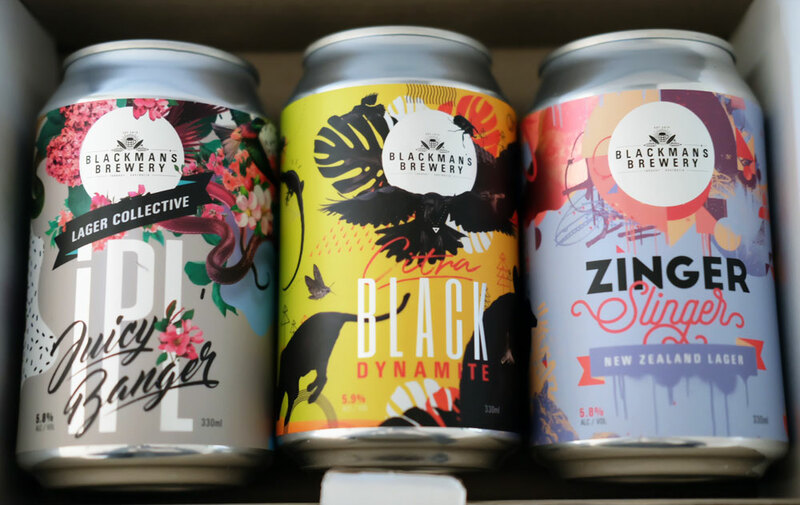 It’s a testament to how quickly Wildflower have become a part of the Australian craft beer scene that I almost forgot they opened up in 2017. Specialising in using native, local ingredients to make and blend various sour concoctions (and a straight up lager in there, because why not! ), they caught the eye with their careful quality control, excellent flavour profiles and scheduled online/cellar door releases. They’re the kind of brewery where the quality will only increase over time and are a very welcome addition to the laundry list of breweries occupying our shores. Pub/Bar of the Year - Carwyn Cellars Carwyn Cellars is probably best known as one of Australia's best Independent Bottle Shops. What many don't know is that their bar out the back is also one of Australia's finest! I had a heap of great beers here during 2017, and the addition of their beer garden towards the end of the year sealed the Golden Pint for them. Could it be anyone else? We’re spoiled with the amount of craft beer bars in Melbourne nowadays but Carwyn remains the holy grail - a place where weird and wonderful tap lineups are constantly rolling in, with a fantastic bottle lineup too. You could argue they belong in here as a retailer more than a bar, but every time I’ve gone down there it has been to partake in one of their many, many events so I’m giving them the nod here. Beer Festival of the Year - Good Beer Week For the second year running I'm awarding the title of Beer Festival of the Year to the Good Beer Week team. It is simply the best beer festival in Australia, if not the world. My beer highlight of the year was at their Mega Dega degustation dinner, where I was seated at the same table as some of the worlds best brewers! Again, a bit of a lay down misere, but a well deserved win for GBW. I love how it turns Melbourne into a beer lover’s dream for a week, with constant masterclasses and events for all tastes taken care of. All the events, pub crawls and tap takeovers I went to were fantastic, and the GABS weekend portion remains a big part of the Melbourne beer calendar every year. Supermarket of the Year - First Choice This was a tough one this year, as both Dan's & First Choice did some good things and some bad things. Both I thought dropped the ball a little in terms of looking after their beer, however both increased the quality and quantity of craft beers that they stock. I'm giving it to First Choice because of the beer made by Deep Creek exclusively for them; Kombi. It's been priced very reasonably and is seriously tasty. Independent Retailer of the Year - Slowbeer The Golden Pint for Independent Retailer of the Year is becoming a little predictable. This is now an unprecedented third year in a row that Slowbeer have taken this title. Chris has the best curated range in Melbourne, across two stores that are both very conveniently located for me, with offerings that you often can't find elsewhere. 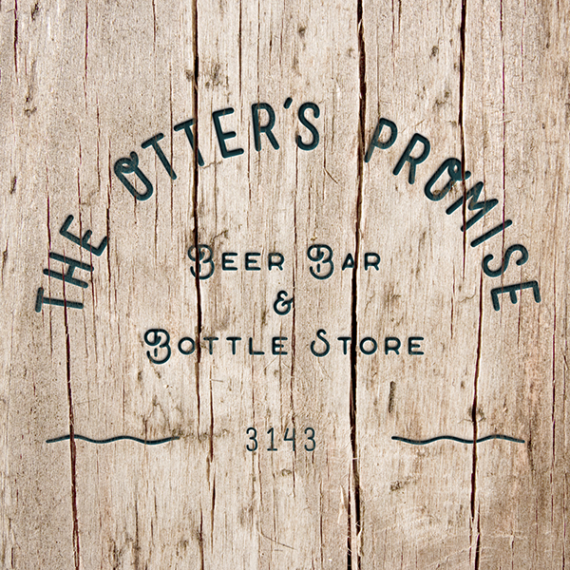 A special mention to Otter's Promise is also in order - I'm sure Dan will be right up there again in 2018. I’m biased because of location here. That’s not to say that Dan doesn’t deserve this award though, with this cracking little shop that evolved into a genuine contender for the best in Melbourne over 2017, especially when they got their taps going. I mainly come here for sours and I’m never left disappointed (even if my wallet often is). Great rotating range, great service and lovely ambience. Online Retailer of the Year - Carwyn Cellars I've used Carwyn's online platform a number of times this year, and have been impressed with the service every time! Delivery is normally within 2-3 days with good tracking information provided. I've never had any issues with incorrect items and they're very upfront with any delays. 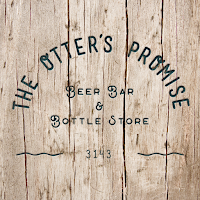 Slow Beer is a great place to go visit, but it’s also a great place to order from. You can shop their whole lineup online and it’s well priced and packaged. Always nice to order from a place where you know the beer will be well taken care of. Best Beer Book - For the Love of Hops My beer related readings have significantly changed this year with my transition into home brewing. For the Love of Hops by Stan Hieronymus is the perfect mix of technical information, whilst still being approachable to people without brewing degrees. If you're a homebrewer, I can't recommend this book highly enough. This is a simple book, but I appreciated the focus on smaller batch sizes and the variety of recipes on offer. The food pairings are good too! It’s a great book to get ideas from. Best Beer Magazine - Zymurgy Along the same lines, I'm selecting Zymurgy as the Golden Pint Winner of the Best Beer Magazine. It is "The Journal of the American Homebrewers Association" and it provides me with a lot of information, especially relating to recipe formulation and technical aspects to improve my own brewing. Even if you’re not a homebrewer, BYO offers such a wonderful profile of styles and techniques from a historical and technical standpoint. There’s a lot of great information in here for a deeper appreciation of beer in general (and of course, it’s a wonderful brewing resource). 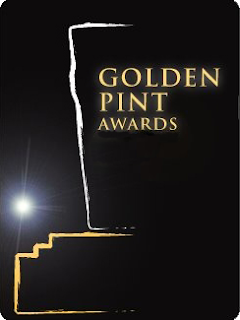 Best Beer Blog or Website - The Crafty Pint I'm reverting back to James for this award. I haven't double checked but I'm sure he would have won this award before. The Crafty Pint is the ultimate website for Australian Craft Beer content, plus The Crafty Cabal has to be one of the best memberships, beer related or otherwise, out there. There are so many good blogs and websites focusing on beer nowadays that it really comes down to what appeals to you. While The Crafty Pint remains the king of Australian beer news, I love the Mad Fermentationist for his many bizarre creations, as well as recreations of old beers and love for alternative ingredients. Like above, I reckon there’s a lot of interesting stuff here even if you’re not a homebrewer. This is going up far later than I would've liked, but at least it's done! 2017 was probably my favourite year in beer - there was just highlight after highlight! I'm already working on ways to try and make 2018's Golden Pints a little less arduous of a task. Thanks to Dylan for chucking up his own awards, we clearly shared a number of highlights this year, but I think the variety in explanation and winners of other awards really added to this post. Stay tuned for more posts in the (hopefully) not too distant future.